New Delhi: Essential services like banking and public transport may be impacted on Wednesday with ten central trade unions going ahead with their one-day nationwide strike, even as the government appealed to them for calling off the agitation, which BJP-backed BMS and NFITU decided to boycott. While these ten unions claim to have a combined membership of 15 crore workers in public and private sector, including banks and insurance companies, several outfits representing informal sector workers also on Tuesday announced their support to the strike. 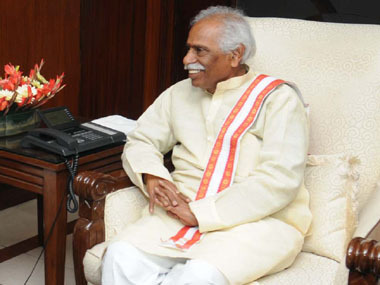 Labour Minister Bandaru Dattatreya, however, said he expects the impact to be minimal. “I don’t think essential services will be affected by the strike. I feel that the impact will not be much. I appeal them to call off strike in the interest of workers and nation,” Dattatreya told reporters in New Delhi. The government also indicated that the talks with trade unions will continue even if they go on the strike on Wednesday. Speaking on behalf of the ten strike-bound central trade unions, All India Trade Union Secretary D L Sachdev said that all ten central trade unions recognised by the government will go on strike on Wednesday. He also claimed that “many state units of BMS will also join the strike”. Earlier in the day, BMS General Secretary Virjesh Upadhyay told reporters that “a large number of public sector undertakings who are members of central trade unions are not going on strike on Wednesday.